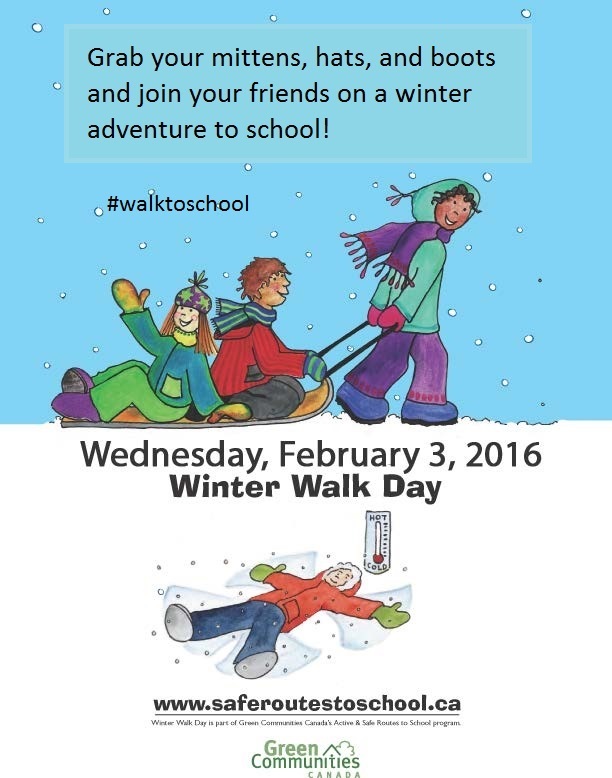 Kids & parents, grab your winter hats, mittens and boots for Winter Walk Day to school Feb 3, 2016. BikeBrampton encourages year-round walking and biking to school. This special day on February 3rd has been set up across the country by Green Communities Canada to showcase the wonders of getting outside in fresh air and actively travelling to school. Children enjoy well-documented health and academic benefits of arriving at school exercised and ready to learn. 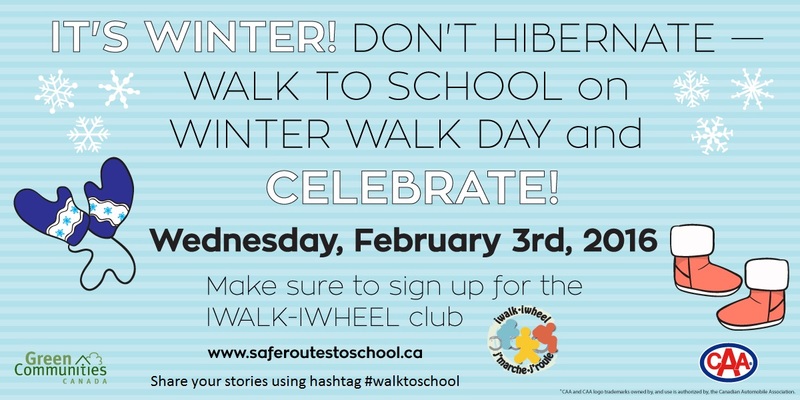 Schools can share their Winter Walk Day experiences on Twitter using hashtag #walktoschool. Watch the video to learn about the benefits of children walking or biking to school.